Around 2010, Lisa Gansky coined the term Sharing Economy, or Mesh companies, offering their customers efficient shared access to their products instead of selling their products to them. Recently, it's being called Collaborative Consumption or Collaborative Economy. It's all about finding ways to make better use of valuable resources that have remained unused. Convenient access is being made affordable to people who can't afford different products, or simply don't need to own those products since they would only use them infrequently. Typical mesh businesses like AirBnB, LendingClub or Cookening, demonstrate the power of sharing in very different ways: AirBnB is on the way to pass Hilton as the world's largest hotelier in 2015, that is 7 years after its inception. The US peer-to-peer lending company Lending Club has originated over 4 billion USD in loans - it was originally founded as a Facebook app in 2006. The typical Mesh business runs a stylish app with a high usability. It's service is new, easy to use and affordable. But all that does not fully explain the tremendous speed they conquer one market after the other. 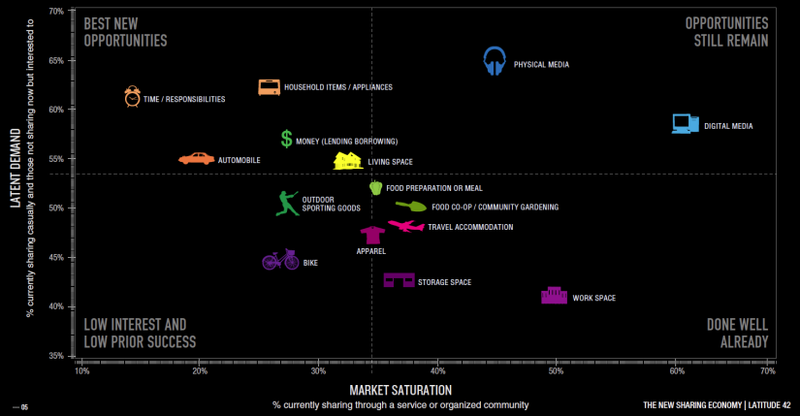 Who is the driver behind the Sharing Economy and it's success? It's the user. The user offers and asks for private overnight stays on AirBnB, the user provides and lends money on LendingClub. Even with services like Zipcar, when the product is provided by a company, the user "uses" a product instead of buying and owning it. He has to rely on other users' good maintenance of Zipcars, since if there were too many 'abusers' the company had to raise rates and the product would become unaffordable for most people. The same is true for AirBnB and others: users have to be sure that landlords don't sell cubbyholes to them, whereas - vice versa - landlords have to trust their guests not to steal the TV or destroy the flat. So, the user has to use the service and she has to behave in an orderly manner - this is the foundation for a properly working and successful Sharing Economy. Now let's adopt the principles of the Sharing Economy to the individual who shares her statuses with her social graph on Facebook, discusses the latest news on Twitter and shares her preferred fashion designs on Pinterest. She dos it because she wants to express herself and she wants to communicate with a wider circle of friends than she can meet in person. She communicates in both, synchronous and asynchronous ways. She has learnt that the more she adds to discussions, the more she gets in return. In Social Media, she experiences the Pay-it-Forward principle in action at its best. Let's assume we can all agree on that: communication openly and actively, sharing ideas, opinions, homes, cars, money and much more with others is not an extravagant imagination of Utopia, Inc., but a multi-billion dollar business eclipsing traditional business models around the world. Furthermore, it's not just a gigantic business but a sympathetic and friendly way of matching supply and demand of individuals. Who wouldn't prefer an individually furnished private home over a standard hotel room? And, did you know that your Vitamin D level is one of the key drivers of your well-being? Most North Americans, North and Central Europeans suffer from a Vitamin D deficiency. Do you actually know your Vitamin D level? Do you know that you can find it out yourself? Let's get more complex regarding data: microbes in the human body are responsible for how we digest food and synthesize vitamins, our overall health and metabolic disorders. The aggregate of microbes is called microbiome. Do you have any idea about your individual microbiome? Do you know that you can find out about your microbiome yourself, by using a simple kit? So far, we have talked about the relevance and value of our data for ourselves. But - weren't you interested in preventing your first stroke because thousands of other men at your age have provided their heart and respiratory rates anonymously and based on the analysis of this data you had been warned early enough to take appropriate action? Wouldn't you agree that the Pay-it-Forward principle works perfectly in the field of personal body data? The difference to the AirBnB model is that you provide your body data anonymously. It will be aggregated and used in a way that nobody knows that's you behind your data. Since data analysis and respective actions or recommendations rely on big data, it's necessary that many people participate and share their own data. Today, in late summer of 2014, many people are sceptical and hesitate to provide their data. We think that personal body data sharing will be regarded as quite normal within a few years. If this movement takes up the same speed as the Sharing (Goods) Economy, it will be accepted as "normal" within 2-3 years. We believe, that data sharing will become a social responsibility, comparable to fasten one's seat belt or wearing a bike helmet. It probably won't be called data sharing since this is a B2B term. 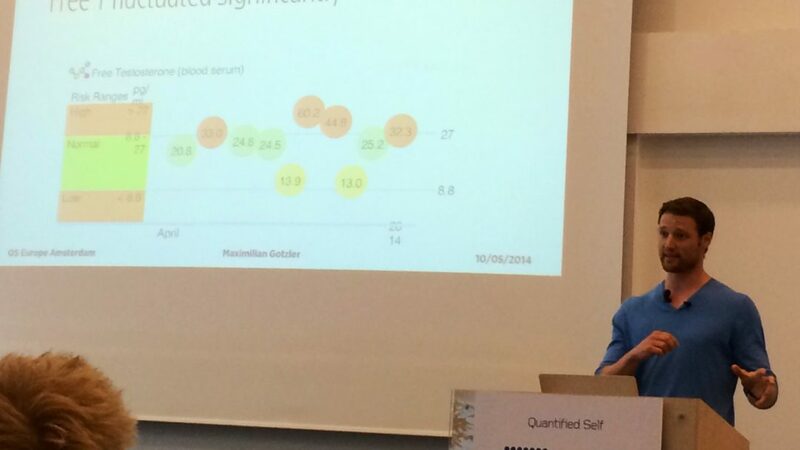 There already is a very good term - the Quantified Self, or QS. The term itself does not include the sharing element. But for every active members of the QS movement sharing is a relevant part of the quantification process because the value of an individual's data is even bigger if used for general purposes. We regard data sharing - our Quantified Self - as one of the most important movements of modern times and we would love to know how you think about it: please comment, provide us with your feedback: do you already share your data? How do you do it? Or, are you still sceptical?